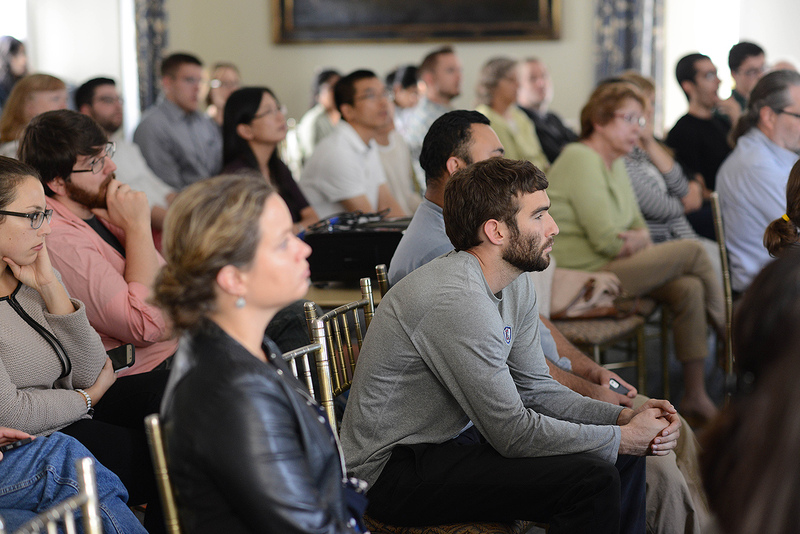 Wesleyan faculty, students, alumni, and guests attended the 19th annual Molecular Biophysics Retreat Sept. 27 at Wadsworth Mansion. 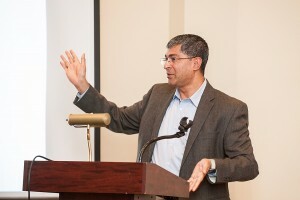 The event included a series of speakers, two poster sessions, and a keynote address. Alison O’Neil, assistant professor of chemistry, spoke on “Investigating the toxicity of SOD1 aggregates in a stem cell-derived model of ALS (amyotrophic lateral sclerosis).” ALS is a progressive neurodegenerative disease that affects nerve cells in the brain and the spinal cord. Research in the O’Neil lab is focused on understanding the structure-function relationship of proteins involved in neurodegenerative diseases, specifically ALS. 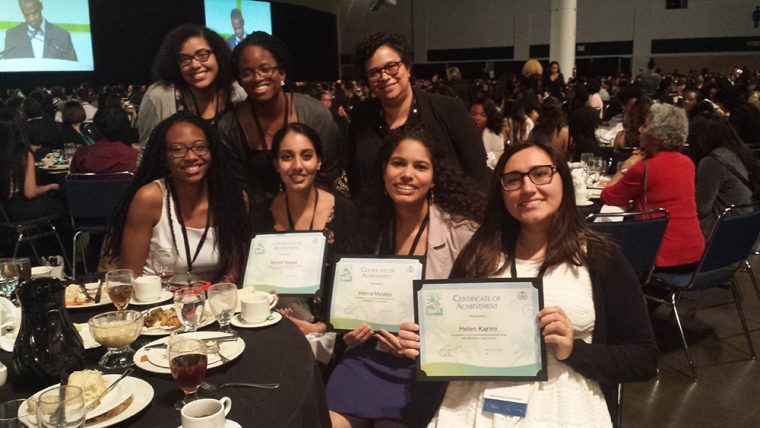 From Nov. 9-12, two faculty members and five students from the physics and chemistry departments, attended the Annual Biomedical Research Conference for Minority Students in Tampa, Fla.
Candice Etson, assistant professor of physics, and Erika Taylor, associate professor of chemistry, were joined by McNair Scholars Luz Mendez ’17, Tatianna Pryce ’17, Stacy Uchendu ’17 and Hanna Morales ’17; and Wesleyan Mathematics and Science (WesMaSS) Scholar Helen Karimi ’19. Students observed other research being performed around the nation by students who are members of underrepresented groups in Science, Technology, Engineering and Mathematics (STEM). 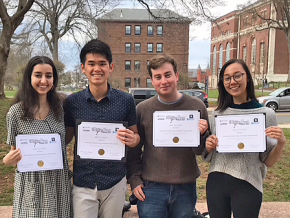 In addition, the Wesleyan students presented their own research and Morales and Karimi were awarded Outstanding Poster Presentation Awards. 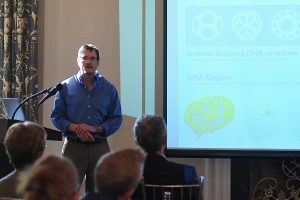 The Molecular Biophysics Program, the Department of Chemistry and the Department of Molecular Biology and Biochemistry hosted the 17th Annual Molecular Biophysics and Biological Chemistry Retreat on Sept. 29 at Wadsworth Mansion in Middletown. 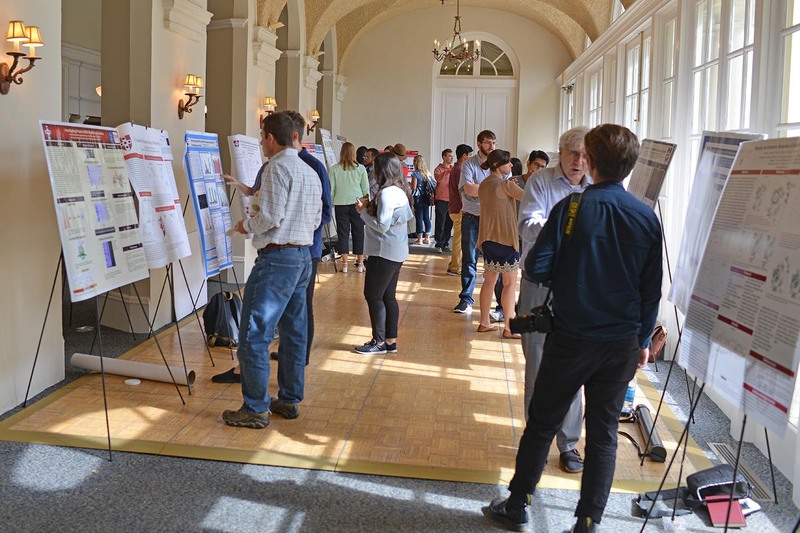 The event included several talks by Wesleyan faculty and two student research poster presentations. Professor Anna Pyle delivered the keynote address titled “Structural and Mechanistic Insights into RNA Splicing.” Pyle is the Howard Hughes Medical Institute Investigator and the William Edward Gilbert Professor in the Departments of Molecular, Cellular and Developmental Biology and Chemistry at Yale University. Pyle studies the structure and function of large RNA molecules and RNA remodeling enzymes. A Howard Hughes Medical Institute Investigator since 1997 and the author of more than 150 publications, she uses a diverse set of biochemical and biophysical techniques, including crystallography and chemical probing, to understand the structural complexity of RNA architecture. 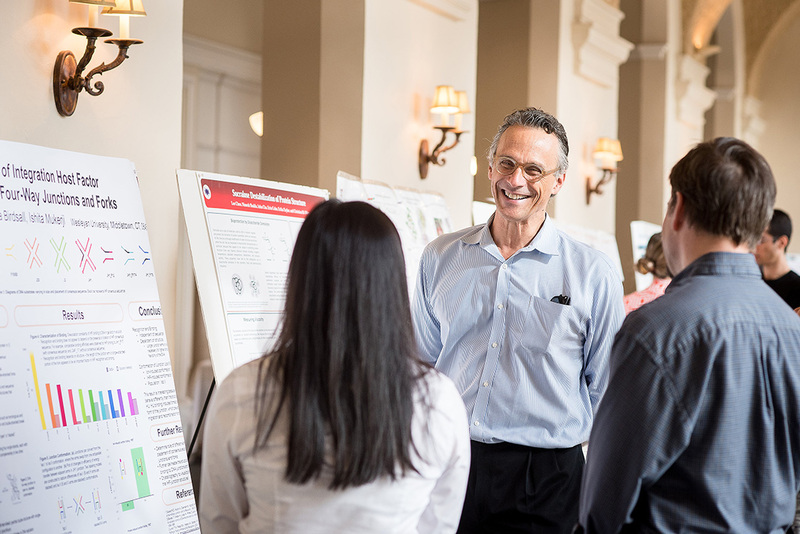 Wesleyan President Michael Roth attended the Molecular Biophysics Retreat Oct. 22 and spoke to students and graduate students about their ongoing research. 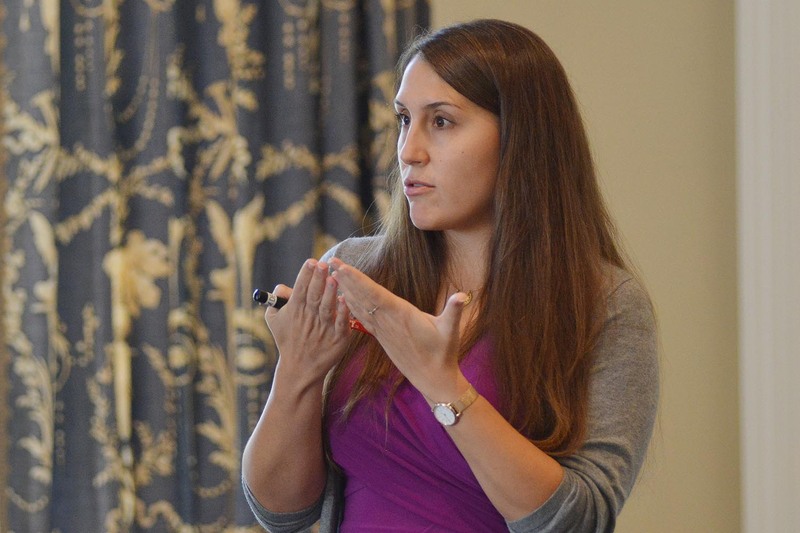 The Molecular Biophysics Program hosted its 16th annual retreat Oct. 22 at Wadsworth Mansion in Middletown. 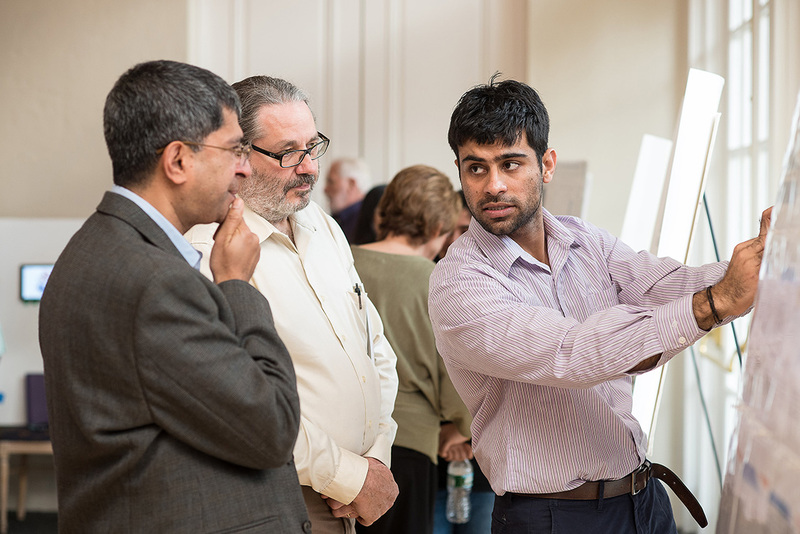 The day-long event included two poster sessions and talks by three Wesleyan faculty and two guests. 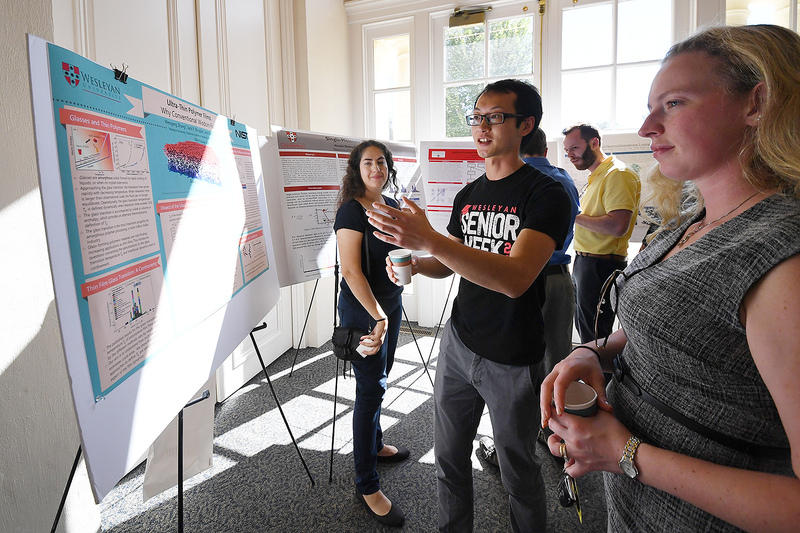 The event also allowed students and faculty to discuss their current research. 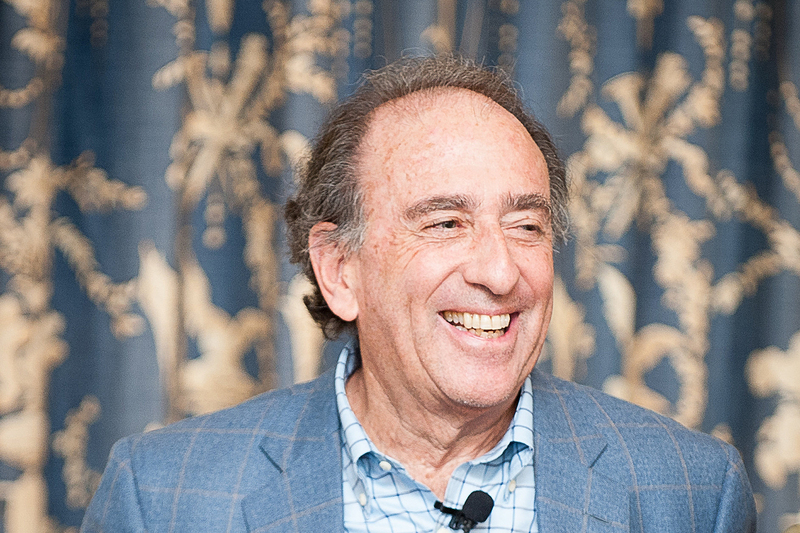 Keynote speaker John Kuriyan is interested in the structure and mechanism of the enzymes and molecular switches that carry out cellular signal transduction and DNA replication. He uses X-ray crystallography to determine the structures of proteins involved in signaling and replication. Water is the most ubiquitous fluid on Earth, and plays a foundational role in life as we know it. And yet the complexity of this seemingly simple molecule remains a vigorously debated area of scientific research to this day. Writing in the most recent issue of Nature Physics, Professor of Physics Francis Starr provides a commentary on recent research to uncover the mystery of water’s unusual properties. Nature Physics, part of the prestigious group of Nature journals, is published monthly. 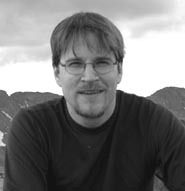 Starr’s research at Wesleyan focuses on computational approaches to understand the emergent complexity of soft and biological matter. 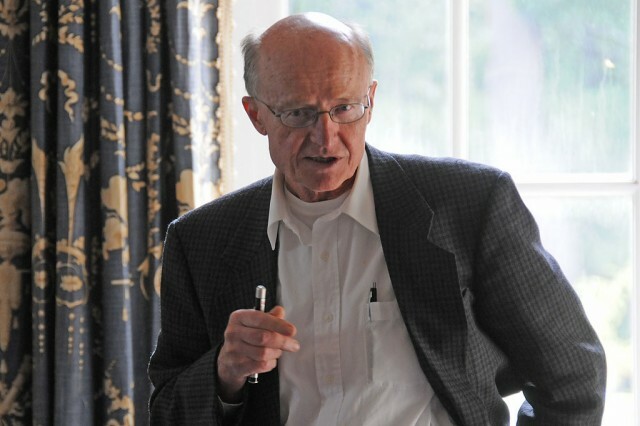 His lab has explored DNA modeling and nanotechnology, lipid membrane dynamics, and polymer films and composites. 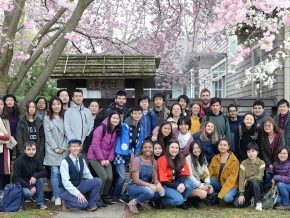 Undergraduates and graduate students work together in the Starr lab, emphasizing connections to experimental results. Several graduate students and faculty from the Molecular Biology and Biochemistry Department, Chemistry Department, and the Molecular Biophysics Program presented their research at the 2014 Annual Biophysical Society meeting in San Francisco, Calif. Feb. 15-19. The Biophysical Society encourages development and dissemination of knowledge in biophysics through meetings, publications and committee outreach activities. Every year, the society holds an annual meeting that brings together more than 6,000 research scientists in different fields representing biophysics. 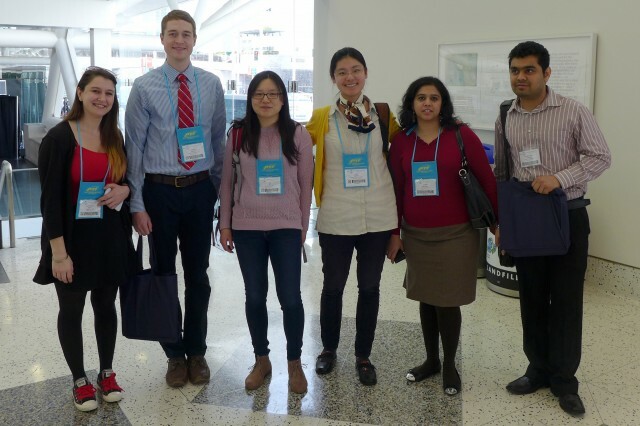 Wesleyan graduate students, from left, Katie Kaus, Stephen Frayne, Yan Li, Shu Zhang, Anushi Sharma and Harikrushan Ranpura, presented research at the the Biophysical Society meeting. 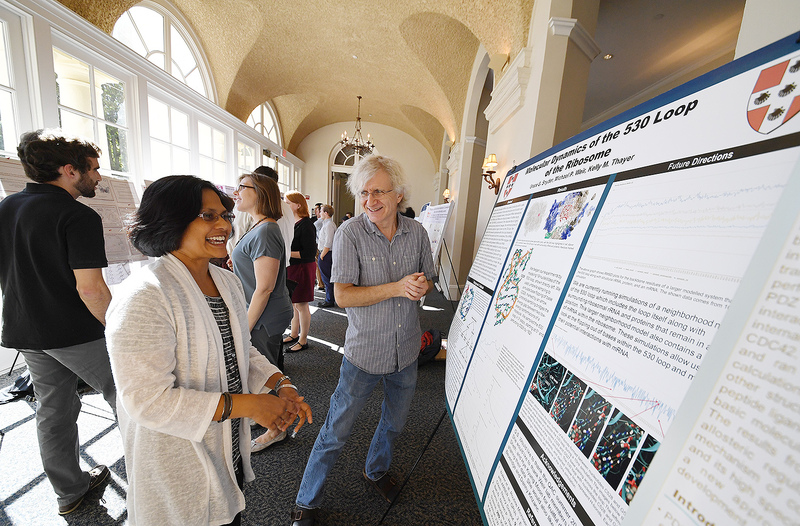 Wesleyan’s Molecular Biophysics Program held its 14th annual Molecular Biophysics and Biological Chemistry Retreat at Wadsworth Mansion on Sept. 25. 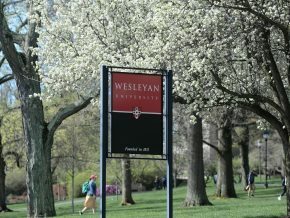 Wesleyan will host the 13th annual Molecular Biophysics and Biological Chemistry Retreat Sept. 27. 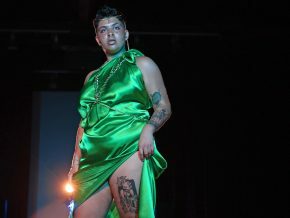 The public is invited. 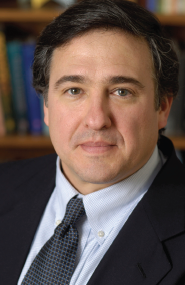 Bertrand García-Moreno, professor and chair of the Department of Biophysics at John Hopkins University will deliver the keynote lecture at 4:15 p.m. He will speak on “Molecular Determinants of Electrostatic Effects in Proteins.” García-Moreno investigates the relationships between protein structure, function, energetics, and dynamics with an emphasis on electrostatic properties that govern the actions of proteins in all biological processes. His research on ionizable groups buried in the hydrophobic interior of proteins provides fundamental insights into their special chemical properties and critical roles in protein function. 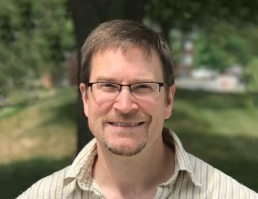 He is currently the editor-in-chief of Proteins: Structure, Function, and Bioinformatics and serves on the editorial board of Biophysical Journal. Additional seminars include Professor of Biology Michael Weir, the director of the Hughes Program in the Life Sciences, at 10:15 a.m.; Kylie Walters, associate professor of biochemistry, molecular biology and biophysics at the University of Minnesota, at 11 a.m.; Amy MacQueen, assistant professor of molecular biology and biochemistry, at 1:30 p.m.; and David Beveridge, the Joshua Boger University Professor of the Sciences and Mathematics, at 3:15 p.m.
A student poster session will begin at 1:30 p.m. The event is sponsored by the Molecular Biophysics Program and the Departments of Chemistry and Molecular Biology and Biochemistry. The retreat begins at 10 a.m. and takes place at the Wadsworth Mansion, 421 Wadsworth Street in Middletown. For more information on the retreat, see the complete schedule. Vern Schramm spoke on “Drug Design from Transition State Analysis” during the 12th annual Molecular Biophysics and Biological Chemistry Retreat Sept. 22 in Wadsworth Mansion in Middletown. Schramm is professor and the Ruth Merns Chair in Biochemistry at Yeshiva University’s Albert Einstein College of Medicine. He investigates enzymatic transition state structures, which enable him to develop powerful inhibitors for treatment and prevention of cancer and other diseases.